Meet Ashley Goodrich! She was born and raised in a beautiful suburban neighborhood in sunny Southern California. She comes from a very big family which she loves very much! After seeing the beautiful town of Spearfish for the first time several years ago, she realized that this is a very special place. In March of 2010, she relocated to Spearfish to start a family of her own and to establish herself as a professional in the workforce. 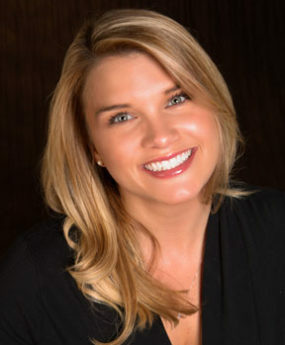 Ashley has been a respected member of the Spearfish and Northern Hills Real Estate Industry since 2011. She is a Top Producing Agent at RE/MAX In The Hills, which she has represented since the day she started her business. She received the Outstanding New Realtor Award in 2015 and she has also held the 100% Club Team Membership through RE/MAX International since 2014. After hundreds of successfully sold properties, her track records remains spotless, a record she attributes to keeping her clients interests ahead of her own, providing attentive one-on-one service and knowing the business and contracts extremely well. Ashley’s Real Estate Career includes considerable experience in the Real Estate Market for the Spearfish and surrounding areas. She specializes in Listing Agent Services, Residential Home Sales, First time home buyers, Luxury Properties, Vacation Property and Investment Property. As a person that moved here from California in 2010, she continues to build very strong relationships with the community and the people here in The Black Hills. With her extensive background and training in Real Estate continuing education, communications, client services, business management and customer service, she is able to serve her clients with unmatched care and guidance with their Real Estate needs. She obtained the SRS (Seller Representation Specialist) designation in 2014, and this extra training and dedication allows her to continue to stand above the crowd when it comes to bringing her sellers to a successful closing.